Young mothers have several challenges. They can hardly feed themselves and their young dependents. They lack fees and school requirements. You can help by ‘adopting’ a young mother through sponsoring her fees,contributing a start up capital to an income Generating Activity or by contributing to her school requirements’. There are several ways through which you can help. Please, select (from below) the best option(s) through which you can help. I can provide school fees. I can provide a computer set. I can help eliminate hunger. I can help a young mother learn an IGA skill. I can provide a start up capital to a young mother. I can adopt a child of a young mother. Once you make your choice, contact HALEA and get all contacts and further details of young mother/young mothers you wish to support. Officials at the HALEA Young Mothers Department will provide you with all details including email contacts and enable you talk to young mother(s) of your choice. Arrangements for online face to face talks can be made on request. At this stage, we would love to know more about you. Kindly inform us about yourself; Name, Your household, Community and your Vision for a young mother of your choice. When you finally make a choice, you are matched with a young mother of your choice and you will get to know from her how exactly you can help. 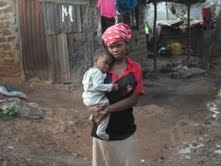 you interested in helping HALEA help the teen mothers? Please contact HALEA on email: haleauganda@gmail.com or katomukasa@yahoo.co.uk .